This ultra-soft and extremely absorbent Pestemal Fouta towel is 100-percent natural cotton hand-woven on ancient looms in Turkey. 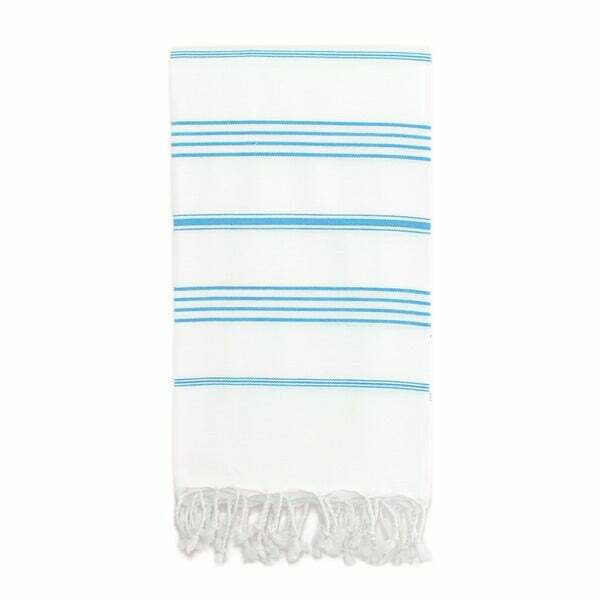 Lightweight and generously sized, this piece is perfect to use for home and travel as a bath towel, beach blanket or wrap. A modern multi-stripe complimented by fringed detail adds visual interest.